The most comfortable couch on the planet. The softest and most beautiful rug. Vases and vases of fresh flowers. All sorts of colorful wild flowers. Big windows with lots of natural sunshine and a view that would people would KILL to see. Every wall would have shelves and shelves of books. Paintings and prints by artists that I adore. Many, many framed photos of family and friends. Of course, Ryan would be right there with me enjoying my dream space. Here is a mini roundup of flower photos that I adore. 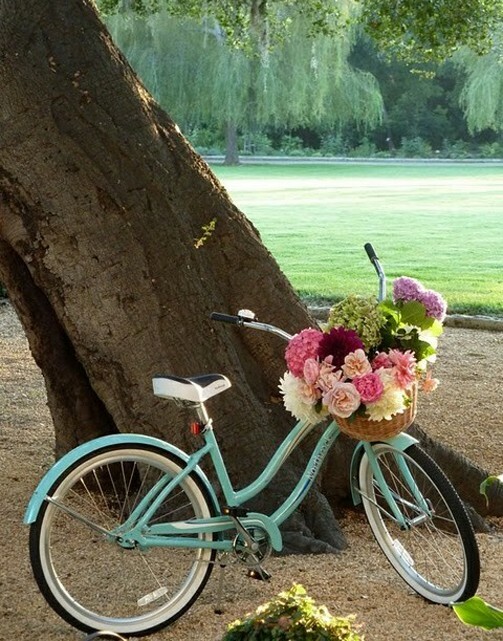 This bike and flowers combo makes me squeal!